Former BBC Radio Oxford presenter and renowned local figure Bill Heine has died of cancer aged 74. The broadcaster also ran two independent cinemas, including the Penultimate Picture Palace, and installed the city's iconic fibreglass artwork, the Headington Shark. He was diagnosed with a terminal form of leukaemia in July 2017. Heine worked for the BBC as a presenter for more than 30 years until leaving in 2016. He also wrote a regular column for the Oxford Mail, and former editor Simon O'Neill said he was "Oxford's marvellous American friend". 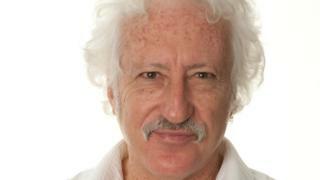 Heine originally moved to the UK from the US in the 1960s to study at Oxford University. While working at BBC Radio Oxford he interviewed hundreds of famous people, including David Cameron, Gordon Brown, Nick Clegg, Ricky Gervais and Alan Bennett. Editor Tim Boswell said: "Bill was an integral part of BBC Radio Oxford for over 30 years. "He was an outstanding broadcaster with the ability to connect with his listeners through his intelligence, razor-sharp wit, and above all, his passion for the city." Jason Horton, head of the BBC's South region, said the presenter was "a unique broadcaster who knew his city inside out". The 25ft shark sculpture was installed in the roof of Heine's then-house in 1986 without planning permission, prompting a six-year legal battle with the city council. 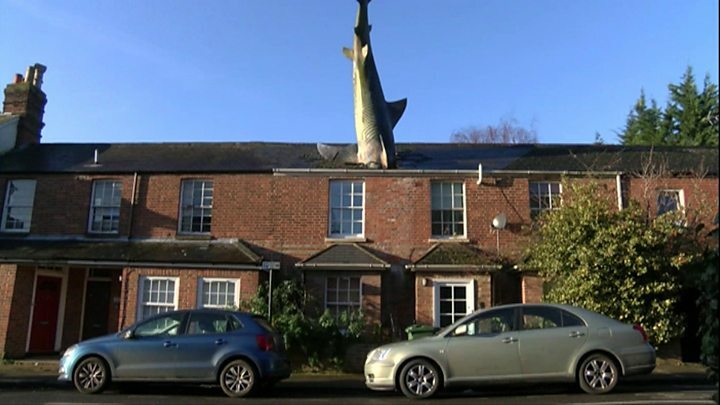 He successfully fought to keep the shark after Oxford City Council tried to remove it during the late-1980s.